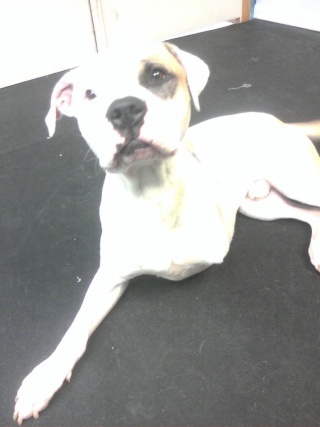 We are fostering a handsome young American Bulldog named Drake at my work. He is through Pet Haven Rescue. He is a very sweet boy and just wants a couch to lay on and someone to rub his belly. 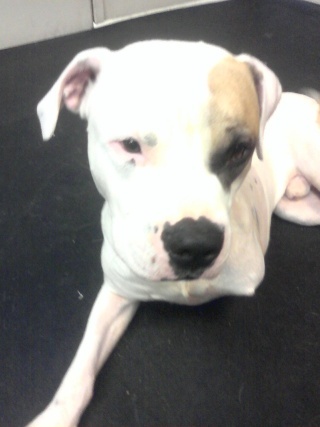 He is on the small side for an american bulldog probably only 55-60lbs. Drake was hit by a car and lost one of his front legs, but it doesnt stop him. He has no problem walking and running around and can even do a few stairs. 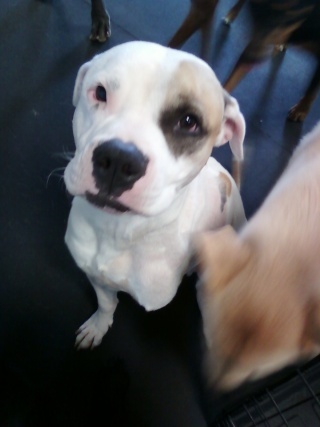 He gets along well with dogs big and small and enjoys playing with his buddies at daycare. Drake is looking for either a foster or forever home. 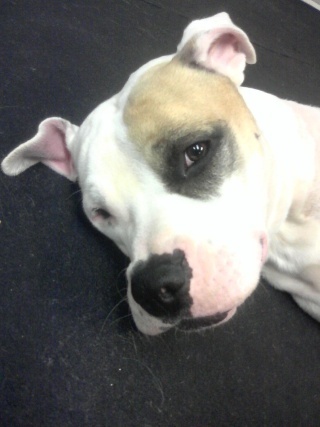 He would be mine if only I didnt already have 4 dogs! He is a very special boy and good in so many ways. I eat lunch with him and he doesnt even beg or drool. He lets me trim his nails without a squirm or a wiggle. He knows how to sit and lay down. It seems as though he had a very loving home before he got lost. He just wants someone to love and that will love him. Do you have room for him in your heart and home? Yeah I am hoping someone I know will take him because I really like him, so I want to be able to see him! Lol.